I once saw a DCOE conversion for a motorcycle and decided to do the same on the RT80. I was intended to service the BINGs anyway, all new cables seals etc etc. 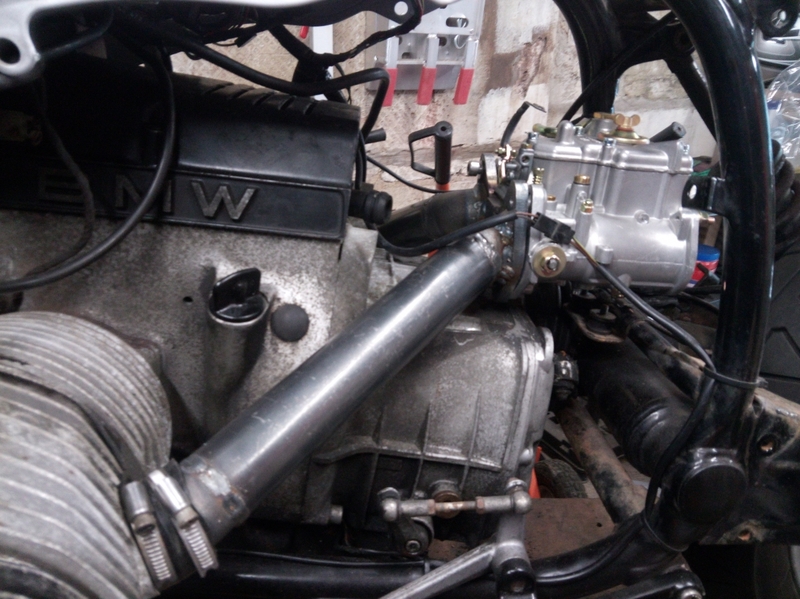 The cost was about 80 of the conversion cost including the new DCOE40 carb. The trickiest part was getting the intake manifold fabricated. I used a waterjet cut plate for the carb mounts and mild steel tubing with 90 degree elbows to fabricate it. Usually this would have been done with SS but as I dont have a tig, the trusty MIG did the job. The 90 degree elbows were cut to the angle I needed and then carefully aligned before final welding. Not an easy job by any means, but one done it was quite rewarding to see it in place.